SPOKANE, Wash. - The nation's most polluted nuclear weapons production site is now its newest national park. Thousands of people are expected next year to tour the Hanford Nuclear Reservation, home of the world's first full-sized nuclear reactor, near Richland, about 200 miles east of Seattle in south-central Washington. They won't be allowed anywhere near the nation's largest collection of toxic radioactive waste. "Everything is clean and perfectly safe," said Colleen French, the U.S. Department of Energy's program manager for the Hanford park. "Any radioactive materials are miles away." The Manhattan Project National Historic Park, signed into existence in November, also includes sites at Oak Ridge, Tennessee, and Los Alamos, New Mexico. The Manhattan Project is the name for the U.S. effort to build an atomic bomb during World War II. At Hanford, the main attractions will be B Reactor - the world's first full-sized reactor - along with the ghost towns of Hanford and White Bluffs, which were evacuated by the government to make room for the Manhattan Project. The B Reactor was built in about one year and produced plutonium for the Trinity test blast in New Mexico and for the atomic bomb dropped on Nagasaki, Japan, that led to the surrender of the Japanese. Starting in 1943, more than 50,000 people from across the United States arrived at the top-secret Hanford site to perform work whose purpose few knew, French said. The 300 residents of Richland were evicted and that town became a bedroom community for the adjacent Hanford site, skyrocketing in population. Workers labored around the clock to build reactors and processing plants to make plutonium, a key ingredient in nuclear weapons. The park will tell the story of those workers, plus the scientists who performed groundbreaking research and the residents who were displaced, said Chip Jenkins of the National Park Service, which is jointly developing the park with the Energy Department. "The intention of the park is to tell the full and complex and convoluted story," Jenkins said. That story is still being developed, but will certainly include a Japanese perspective, he said. "What happened at B Reactor changed the course of human history," Jenkins said. "They went from sparsely populated ranching communities to the first packet of plutonium over the course of 18 months." Eventually, nine reactors were built at Hanford and operated during the Cold War to make plutonium for the U.S. nuclear arsenal. That work created more than 56 million gallons of radioactive waste that the government still spends more than $1 billion a year to maintain and clean up. While details of the new national park are still being worked out, French said, the Energy Department will continue its tours of the B Reactor and the old town sites that began in 2009 and fill up with some 10,000 visitors a year. The plan is to greatly expand the number of tourists and school groups who visit the site, she said. Tours will occur from April to October, French said. Exhibits at the B Reactor include the exposed face of the reactor and the control room, where many visitors like to sit and be photographed at control panels, she said. 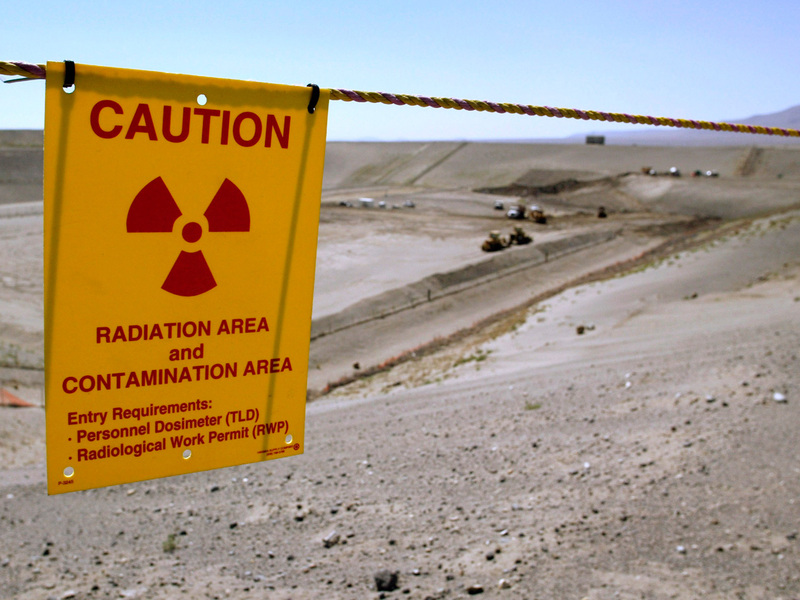 The Hanford story is far from over. Jenkins noted that thousands of scientists and other workers remain active on the Hanford site, inventing and implementing new techniques to clean up the massive volume of nuclear waste.